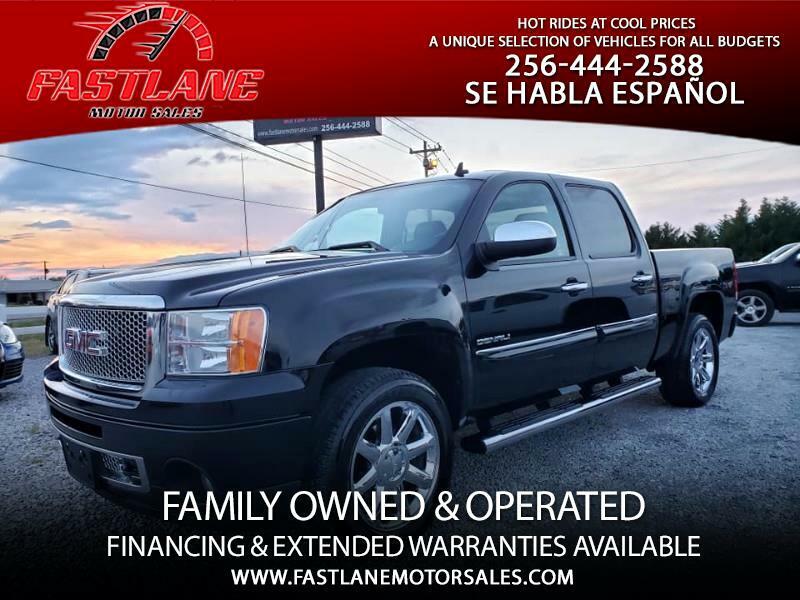 Check Out This Super Sharp CarFax Certified ONE OWNER 2010 GMC SIERRA 1500 DENALI !!! Crew Cab! AWD! 6.2L V8! Chrome Package! 20" OEM Wheels! Front Seats Are Heated AND COOLED!!!! Adjustable Pedals & Full Power Seats! Bluetooth! Remote Start! Onstar! Park Assist! Black On Black! Dark Woodgrain Interior Trim! Brand New Bridgestone Tires!This Denali is so sweet it would make Ric Flair yell "WoOoOoOo"!!! This truck is simply beautiful, and it was the nicest model GMC offered. Seeing as the truck is a one owner she is in excellent condition inside & out! Mileage is 205k, but you would never guess that by driving or looking at it. This truck is 100%. This top dog pickup probably won't last long as we are listing her behind NADA value so call or come by today for more information or to take her for a spin.